Hey! Zoom Q4N destroyed the recording itself for 3 hours. Listen for 8 minutes ahead. 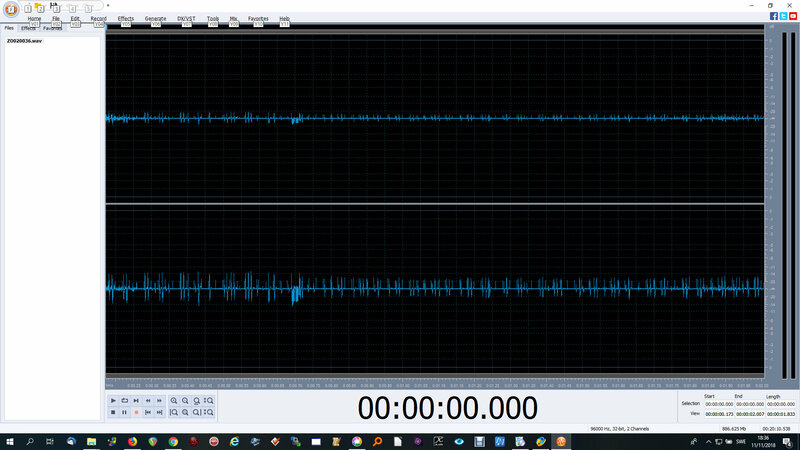 The same distorted sound came out of the headphones during recording. The fault was the same with Line in or Q4n's own microphones. The fault was the same with the manual recording level -12 dB or Autogain. The memory card was 64GB of Sandisk with 54GB of videos and about 8GB of space. Is the appliance broken? It's only a few hours spent. Is the other Q4N the same fault? Here is a picture of audio. Here's one of the video's of this opportunity converted to wav audio. Qoom Q4n made this distortion at a low recording level. Record volume is not overrun! The fault also has no external connections just for Zoom Q4n and it's own microphones! This has been resolved. Q4N is not broken, but it is a delicate mobile phone for radio broadcasting. Q4N near was Facebok live broadcast tablet mobile radio broadcast operation. The other cameras are not so sensitive. The security distance must be 2 meters with Q4N!!! Thanks for the update. Radio Frequency Interference (RFI) strikes again!